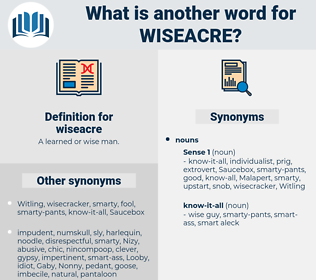 What is another word for wiseacre? A learned or wise man. 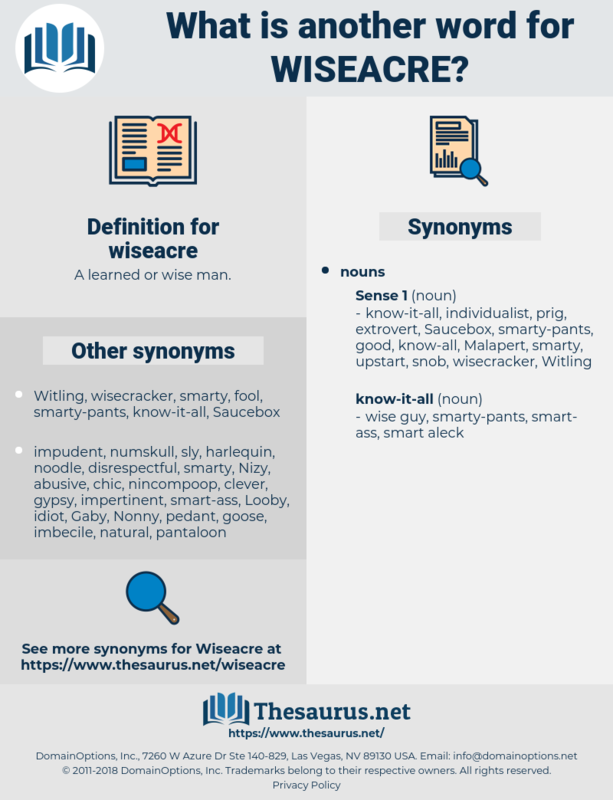 A medical wiseacre has adventured the amazing dictum that Every infant is born healthy! If I were something more of a fool and something less of a wiseacre I would champion her myself.